Financial markets appear to be oblivious to the scale of danger associated with the Eurozone skirting on the "Edge of Chaos.” The consequences of that event horizon are likely to be sudden and far from benign. Lord Wolfson -- chief executive of Next and a Conservative life peer -- has declared that working out how to handle a break-up of the eurozone "is a very big question." Lord Wolfson is offering a GBP 250,000 prize for the best plan to manage one or more countries abandoning the euro currency. The prize is described as the second biggest cash prize to be awarded to an academic economist after the Nobel Prize. Lord Wolfson has said, "I think there is a very real possibility that the euro may collapse, and if that happens then it needs to be managed, and if it's not managed then it's going to be catastrophic for European finances, and not just for European finances. The knock-on effects for the world banking system would also be very very serious." How Easy Is It To Exit From The Eurozone? A number of ATCA 5000 distinguished members – mostly the C-suite at large financial institutions – have been asking us about the mechanism to exit from the Eurozone. At their request, we have been in touch with a number of legal experts in this field in London, Brussels, Paris and Frankfurt over the last two months. The consensus amongst authorities is that there is no well defined "Fire Exit" from the Eurozone architecture for any euro-member to leave the single currency. The only mechanism which appears to be available is to apply for an exit from the European “political and economic” Union, which is an exit from the total membership of the EU. This could prove to be extremely disruptive to the European Union as a whole and not just to those members who have chosen to adopt the single currency. It may end up causing the entire EU to collapse if a critical number of members were to follow this course of abandoning the single currency project one after the other. Governments and financial institutions need to be contingency planning for the sort of extreme outcomes ATCA 5000 distinguished members have brought to the fore. There are those who believe that highly innovative scenarios may have to be considered. The chief executive of a very large hedge fund, based in London, suggests, "Not sure the EU will follow the extreme exit rule if it needs to happen. They could conceivably re-write the rules. Total exit and immediate re-admittance is one option." e. Taking steps to strengthen budgetary discipline with pan-European oversight. 1. Distinguished members remind us that monolines have not previously had a great track record. Note AIG, Fannie Mae and Freddie Mac etc. 2. Monolines have abused their positions as controlling creditors in wrapped transactions in the past. 3. How will the level of the insurance trigger be determined? Will a share of 40% insurance turn out to be enough of a haircut for Greece, when long dated Greek bonds are already trading at 30 cents in the euro, i.e. implying a 70% write-down? 4. Claiming under any financial insurance policy is never easy, particularly when investors in this case are likely to be very fragmented and with differing incentives and intentions. 5. The EFSF is a Luxembourg domiciled private company whose mandate and strategy keep changing. If the European Stability Mechanism -- ESM -- is created in 2012/2013, the ESFS may then not exist in its initial form. So how can investors get comfortable with a guarantor which can change with political twists and turns amongst a plethora of member governments and myriad parliaments? 6. There’s also the problem of correlation. The risks of the underlying obligor and the guarantor -- and the ultimate sovereign guarantors -- defaulting at the same time are highly correlated. Investors are hardly likely to trust that Spain, for example, would be willing or able to honour its guarantees to the EFSF in a scenario in which Italy defaults simultaneously. 7. The creation of a new class of partially insured debt for each country would mean several tiers of sovereign debt circulating simultaneously -- while the rump of existing bonds runs off -- making subsequent restructurings increasingly complex. 8. Finally, the main supposed benefit of ESIM is the strap line that it doesn’t require any cash to fund. However, this is also its weakness, in that it will still lack the fire-power to deal with a liquidity problem experienced by any individual sovereign. In parallel, private investors -- many of which are banks -- are being asked to stomach a 60%-75% hair cut in regard to their Greek sovereign debt holdings. They are increasingly expressing unwillingness to do this voluntarily because they consider such an outcome to be default equivalent. There are too many moving parts as 17 Eurozone members may still find it difficult to agree on all the key steps that must be taken together in the near future to secure the Eurozone. It is the common assessment of a number of distinguished ATCA 5000 members that the problems of the Eurozone are colossal and cannot be resolved for less than 2.5 to 3.5 trillion euros. If such massive government funds were to be deployed they would push the credit rating down of all the Eurozone sovereigns, thereby creating a raft of new challenges. This interconnectivity of systemic risk now makes the Eurozone crisis nearly intractable in our view. Greece should be allowed to default. Exit for weaker Eurozone member countries ought to be made easier. The present lack of fire exits notwithstanding, there is always the capacity to re-design the Eurozone architecture. This needs to happen sooner rather than later. Without a redesign, the Eurozone is skirting on the edge of chaos as the illusion of hope and the credibility of Eurozone authorities begins to shatter as a result of misaligned expectations. 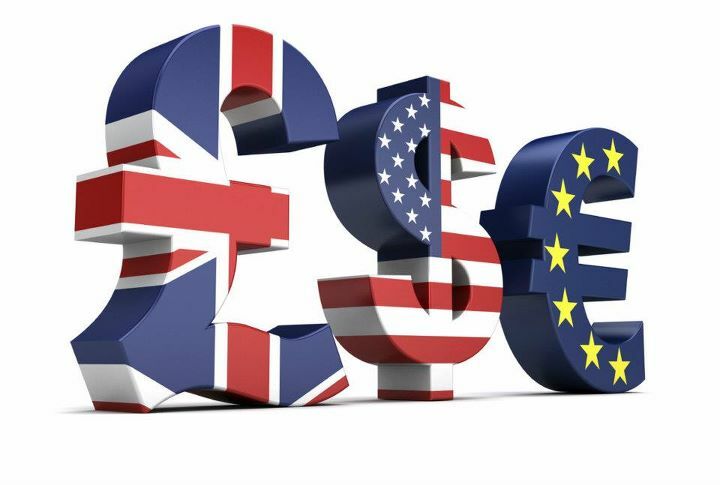 If the Eurozone carries on in its present format, the global financial markets will lose their patience with it and this would open Pandora's box, causing an implosion of the entire economic and political edifice. We are hosting an Expert roundtable on this issue at ATCA 24/7 on Yammer.